Turkey’s position on the ancient trade route between the East and West has made it a major centre of commerce and trade for centuries. 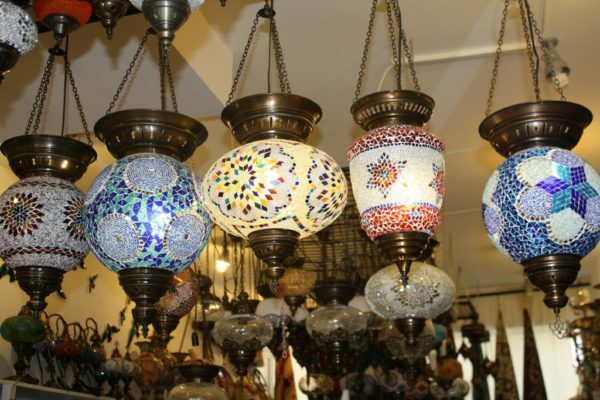 Istanbul is renowned for its amazing Grand Bazaar and many other towns and cities are renowned as places to buy textiles, carpets, clothing, leather, ceramics etc. The Turquoise coast is better known for its stunning scenery, beautiful beaches and seascapes with the dramatic mountain backdrop than for shopping. However many artisans are moving to the South and opening up chic boutiques, vintage and “concept” stores which stand along side the more traditional gift shops and the weekly markets, where you can pick up many bargains. Here we give our recommendations on the best things to buy. All can be purchased locally either in the small independent shops or at one of the local weekly markets. 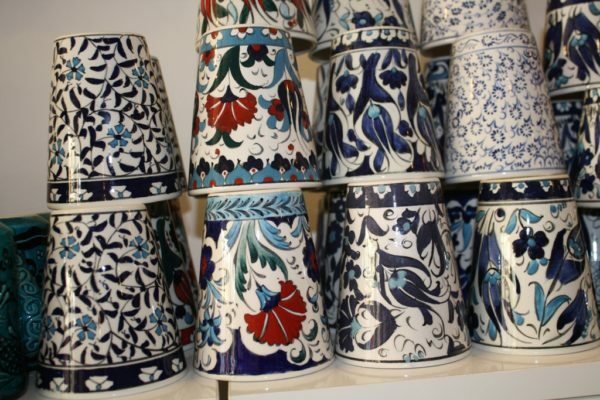 Turkish ceramics are renowned for their rich colours and elaborate designs. 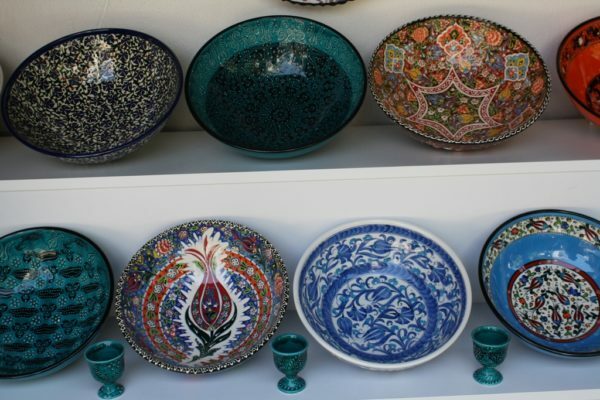 Originally created to imitate Chinese pottery, Iznik craftsmen in Anatolia quickly developed their own styles and patterns and nowadays Turkish artisans love combining geometric patterns with carnations, roses and tulips. Popular products include plates, bowls (both large for salads and small for olives and other nibbles! ), tumblers, cups, vases, pot stands and decorative plates. Any of these look stunning in your kitchen when you get them home and all are very practical and useful. 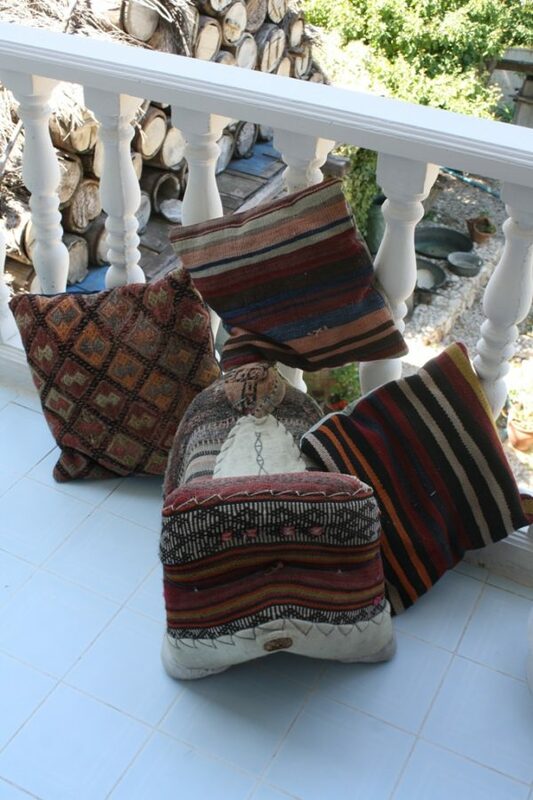 These can be purchased both on the local markets and in several shops in Kalkan, Kas and Patara.. If you are lucky, you might see one of the artisans at work, hand painting the intricate designs and patterns. These make delightful and original gifts. 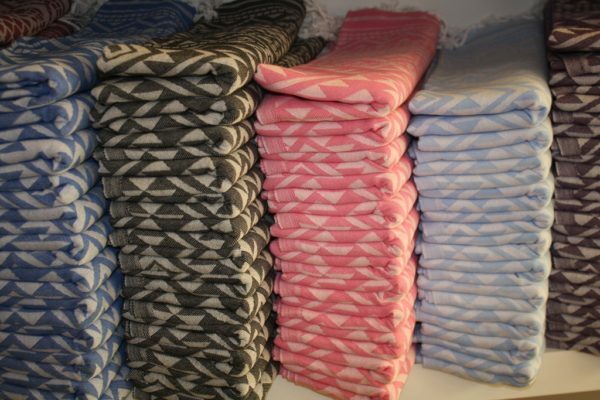 Hamam towels (also known as Peshemals) have been around for hundreds of years. They are flat woven and hand loomed by skilled artisans using ancient techniques passed down through families for generations. 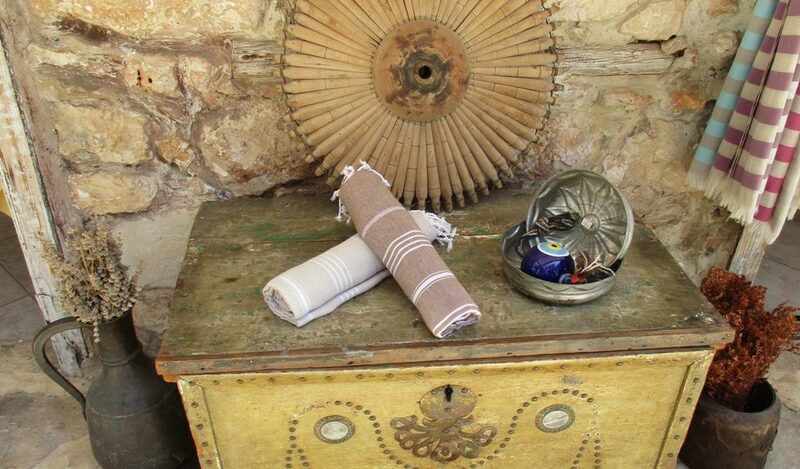 The home of the Hamam towel is the Aegean region of Turkey and its roots date back to the 2nd century BC. 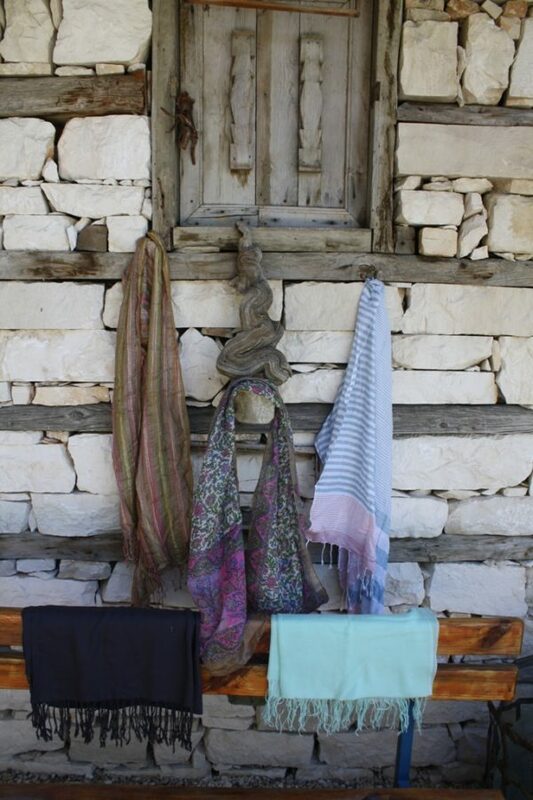 The small villages that make up this ancient area are still responsible for producing many of Turkey’s hamam towels today. Hamam towels were originally used in the Turkish bath (Hamam). They were used to cover the body whilst in the hamam to ensure modesty and then used to dry the body off afterwards. The humble hamam towel has stood the test of time and has made its way to beaches, poolsides and ensuite bathrooms throughout the world. They are light to carry, dry quickly and make ideal beach towels. They are produced in many gorgeous colours and of different weights and quality. They can be used as a bath towel, a beach towel, a wrap, a throw, a table runner, a table cloth, a picnic blanket or a scarf, to name just a few uses and therefore make ideal gifts! 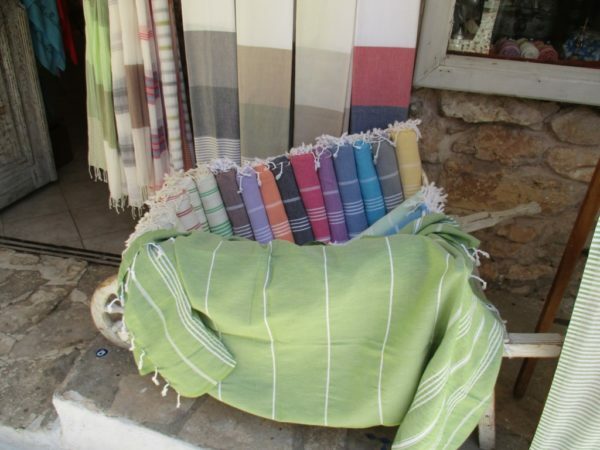 Hamam towels can be purchased in the local markets or in one of the speciality hamam shops in Kalkan, Kas or Fethiye. As they are produced in Turkey they can be purchased for a fraction of the cost you can pay in UK or Europe. 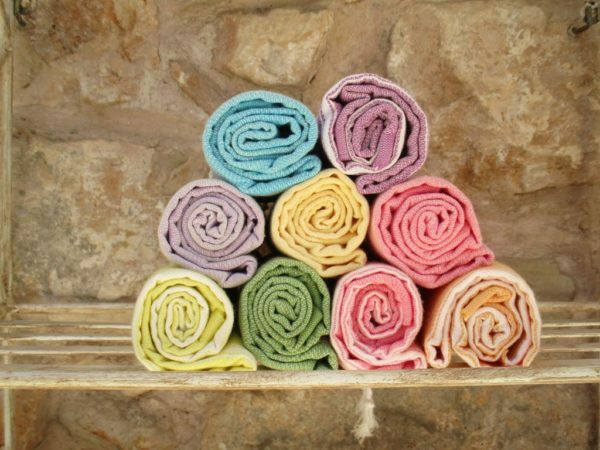 The hardest decision will be choosing which weight of hamam towel and which colour!!! Locally made natural health and beauty products are on the rise in Turkey. 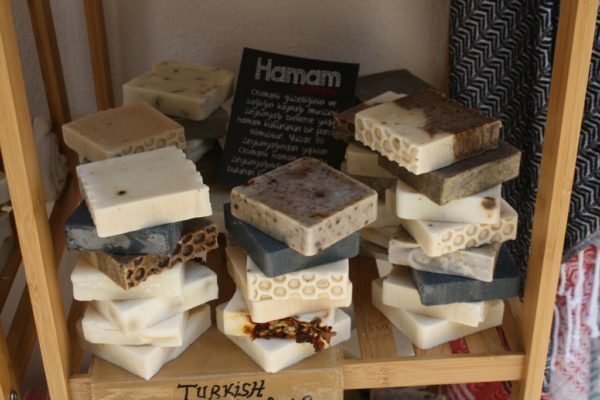 Hand made olive oil soaps are part of this trend and represent the centuries old tradition stemming from hamams. Hand made olive oil soaps are available at the hotel and these have been made using the olive oil from the olives in our garden here in Patara. 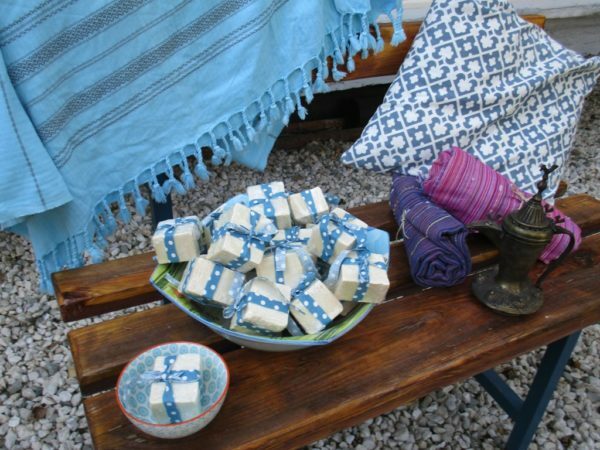 100% natural, they are simple, natural olive oil soaps with no scent and have been hand made up in the village of Uzumlu (in the hills above Kalkan and Patara). 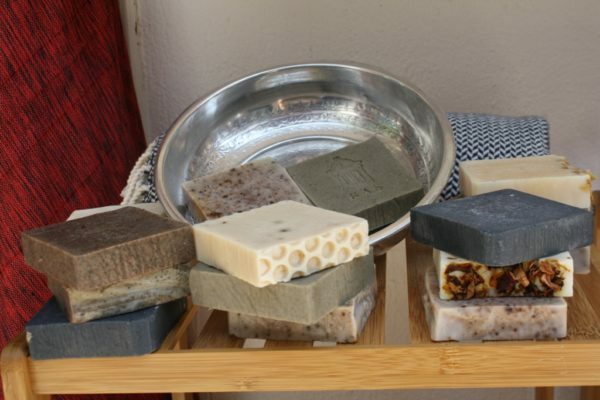 However a wider selection of locally produced olive oil soaps, many with the addition of local herbs such as lavender, mint, apple, bay leaf, thyme etc.. (to give both a scent and to add healing qualities) can be purchased on the local markets or in speciality shops in Patara and nearby towns and villages. Another fabulous gift. 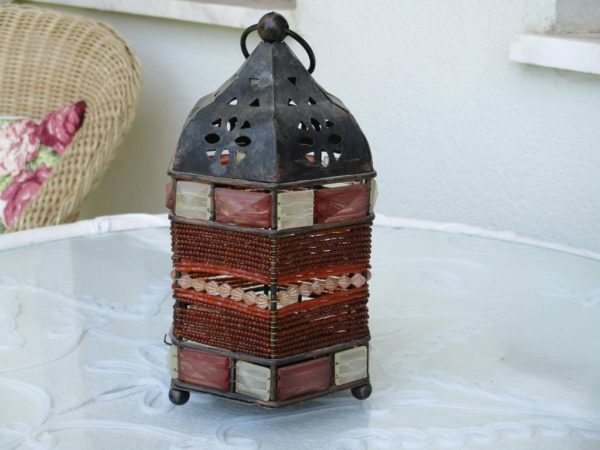 Hand crafted glass lanterns create a beautiful stained glass effect in the home or garden. Some lanterns (such as those shown in the photo above) are designed for either candles (night lights) or electric bulbs. The ones designed to take candles have a small fitting into which you place your candle or night light. Others have electrical fittings so that you can use them as electric lights. The fittings will work in the UK and Europe. Other glass candle holders are designed to stand on tables in your garden or around the home. The soft coloured lighting gives a warm relaxing ambience and will remind you very much of Mediterranean evenings. The lanaterns can be purchased at the local weekly markets, in gift shops in Patara, Kalkan, Kas and Fethiye and in some of the home stores in most larger towns. 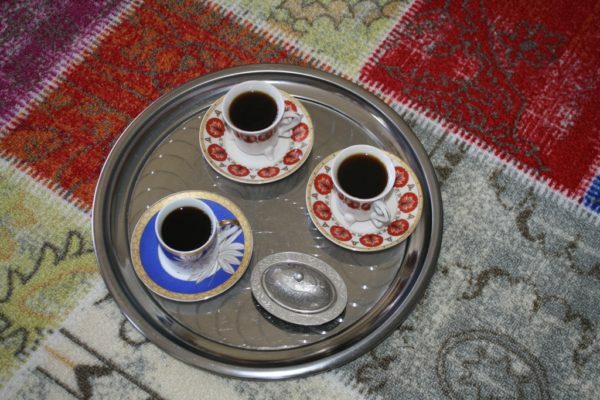 Turkish coffee is served in very pretty cups and saucers on a silver tray as a sign of good hospitality in a Turkish home. Beautiful and unique hand painted coffee cups can be found in many of the small independent shops in Kalkan and Kas, however if you are looking for a more practical set to use at home, these can be purchased very cheaply in many of the supermarkets in Fethiye and Kas. 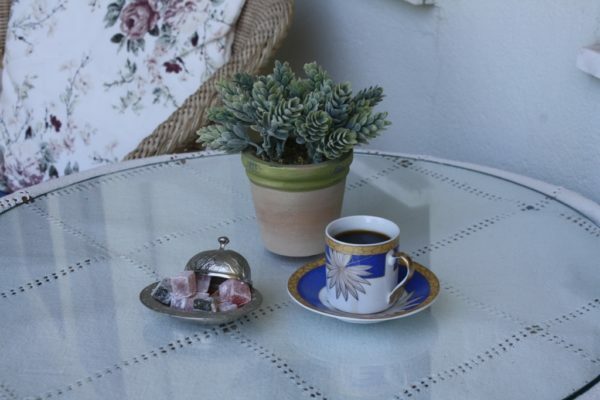 Turkish coffee cups are a similar size of cup to an espresso cup and make delightful gifts. 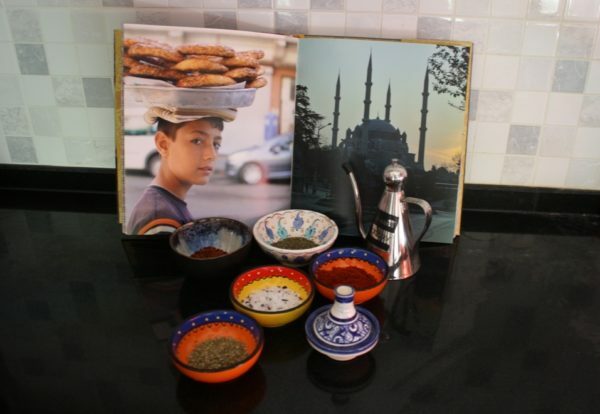 You might even choose to buy a Turkish coffee pot for making true turkish coffee to serve to your guests at home. Again beautifully decorated pots can be bought in artisan shops and make a delightful gift if given together with a box of Turkish coffee or Turkish coffee beans, ready to be ground when needed. Simple, practical pots can be bought on the local market and in most supermarkets. The coffee pots come in selection of sizes, depending on the number of cups you wish to make in one go. Turkey is famous for its textile production, producing clothing for many of the high street stores in the UK and Europe. 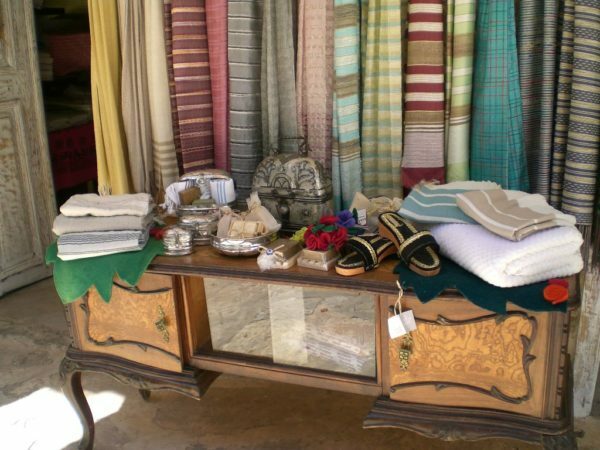 We would recommend looking beyond the mass produced high street styles and suggest that you explore many of the small independent shops in Patara, Kalkan and Kas. Much of the clothing available in these small shops is made on the premises or by a local designer. You can find many unique and unusual pieces for a fraction of the cost that you would have to pay in the UK or Europe for an original design. 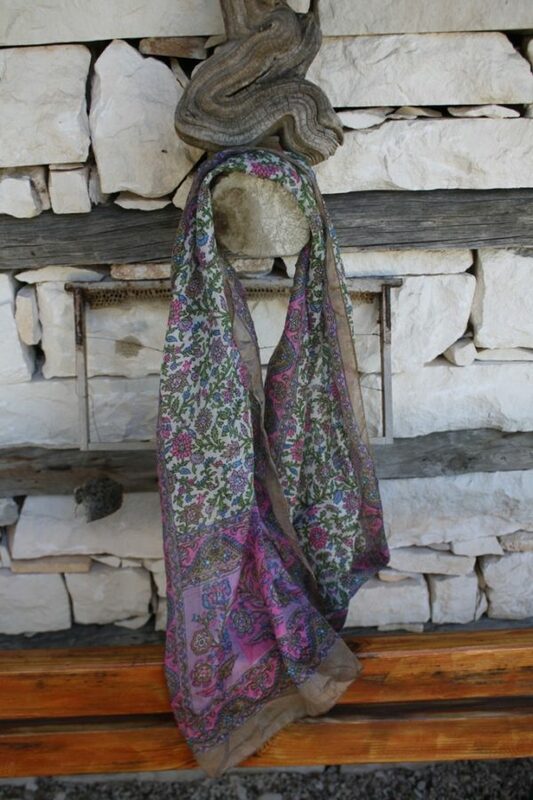 Apart from clothing, other popular textile purchases include clothpashminas, silk scarves, printed scarves, hamam towels, table cloths , hand woven throws, bags, kelims and cushion covers.Turkish fabrics are unique in weaving features, materials used and designs reflecting the Turkish culture and taste. The textile industry is a huge player in the international textile scene and so to purchase textiles here, you will get great products for an excellent price. 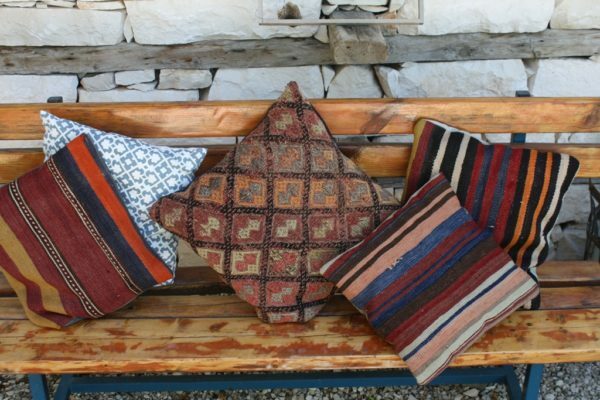 Kelims and woven cushions also have a long history or a special story to go with them. As young modern Turks now prefer modern factory produced products, the older textiles are in less demand and so are becoming more of a rarity. 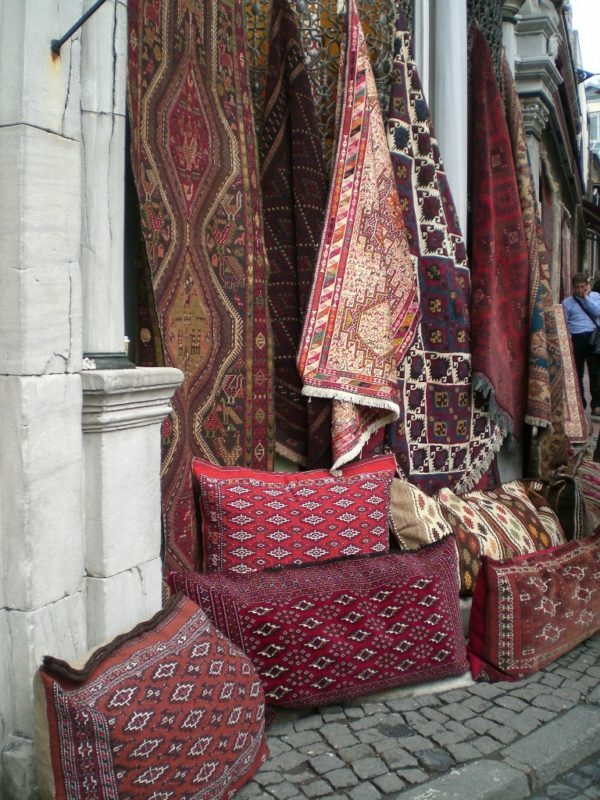 Purchasing Kelims and carpets takes time and you should be prepared to sit down with a glass of Turkish tea whilst you learn about their history. A purchase cannot be rushed and we would suggest that you go into the shop with some idea of the colours you want and the maximum price you are prepared to pay. Unless you are a collector, it is very difficult to know the exact value of many of the old kelims, camel bags and cushions. We would recommend that you think of it as buying a piece of art. In our opinion, the most important consideration is that you love it that you want to have it in your home and that it is within your budget. Turkish Mediterranean food has lots of very delicate flavours, thanks to the careful use of herbs and spices which are used to augment, highlight and complement dishes, never to mask or dominate. The most commonly used seasonings are mint, parsley, garlic and pepper. Fresh whenever possible. Most dishes will have at least one if not all of these seasonings! Other kitchen favourites include dill, basil, thyme, sumac, tarragon,cumin and cloves. It is well worth visiting the spice stall at the local Turkish market as much for the fun of seeing a vast array and colour of herbs displayed in large baskets, looking like a painter’s palate! Many herbs can be bought at a fraction of the cost that you will pay in your local supermarket, so stock up and have fun in the kitchen when you return home replicating all the delicious foods you have tasted whilst in Turkey. Finally, you cannot leave Turkey without purchasing some traditional Turkish delight! Forget Fry’s Turkish delight (Sorry to those of you who have a penchant for this!). Traditional turkish delight is very light and sweet. It can be purchased in a vast variety of flavours, however the most traditional is Gul (Rose). This has a light, delicate flavour and makes a perfect gift. It is also possible to buy pretty glass and copper sweet dishes from which the Turkish delight is offered. 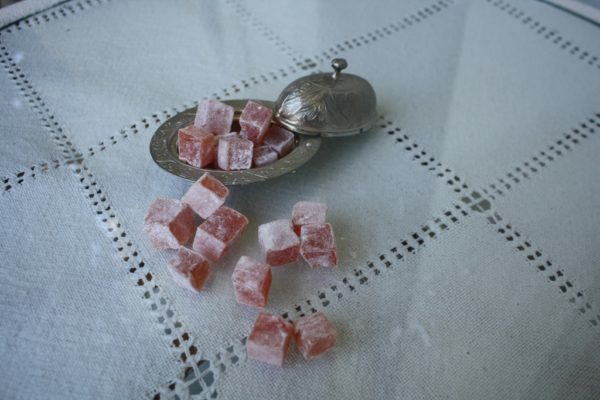 Turkish delight can be bought in local shops, on the market and in supermarkets. In Fethiye there are several places where you can buy freshly made Turkish delight. It is fun to make your selection from the huge variety of flavours available. We can also highly recommend the Turkish delight sold in the local village shop in the village of Islamlar (in the hills above Kalkan). It is not particularly attractive packaging as it is sold in plastic boxes, but the delicate flavour, more than makes up for this! 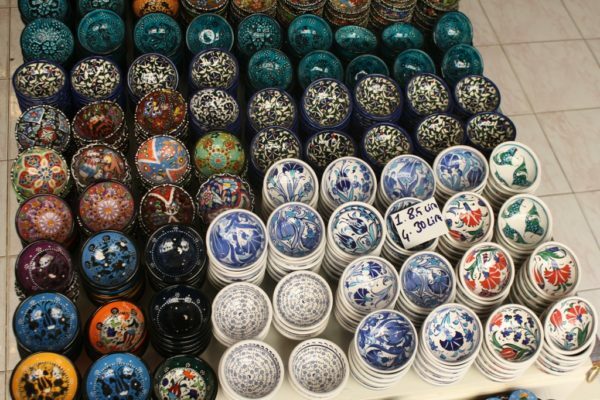 These are just a few of the many wonderful, unique and unusual purchases that you can make during a visit to Turkey. 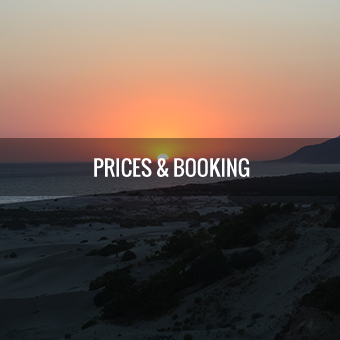 We have plenty more ideas if you want to pick our brains when you are here! We are also happy to point you in the right direction for places to find the most unusual gifts at a good price whilst supporting local independent businesses. Christmas is not far away…..so if you are thinking of booking a late autumn break, whilst not make time and space for making and early start on your Christmas shopping, getting some beautiful and unusual Christmas gifts at a fraction of the cost you will pay at home.